A WT Farley original product, the DU-O-VAC comes in 2 basic styles for adult emergency suction and pediatric emergency suction applications. The pediatric application is perfect for use on infant warmers for neonatal care. The DU-O-VAC is known for its efficacy and easy-to-use convenience without the need for an outlet or batteries. All that is needed is a 50 PSI oxygen source to run two important components to emergency care which includes oxygen and suction in one unique device. Design features include infectious control single use suction canister, a hydrophobic filter built into the single use suction canister, and an easy to read suction gauge for either pediatric model or standard adult version. 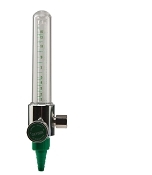 Unit can be used as an oxygen manifold when suction is not in use. MRI compatible models available.